It’s finally Spring here! That’s just one of many reasons to be happy. Another reason to be happy is Fresh Direct. Listen. I purchased some groceries online from this source. They delivered them to my apartment yesterday morning and oh how happy was I! Apparently I’m late to this train, but it’s the best thing since sliced bread let me tell you what. I unpacked the boxes on my kitchen floor, and decided to put a few things together for a light Saturday afternoon lunch. Here’s the tasty little meal! 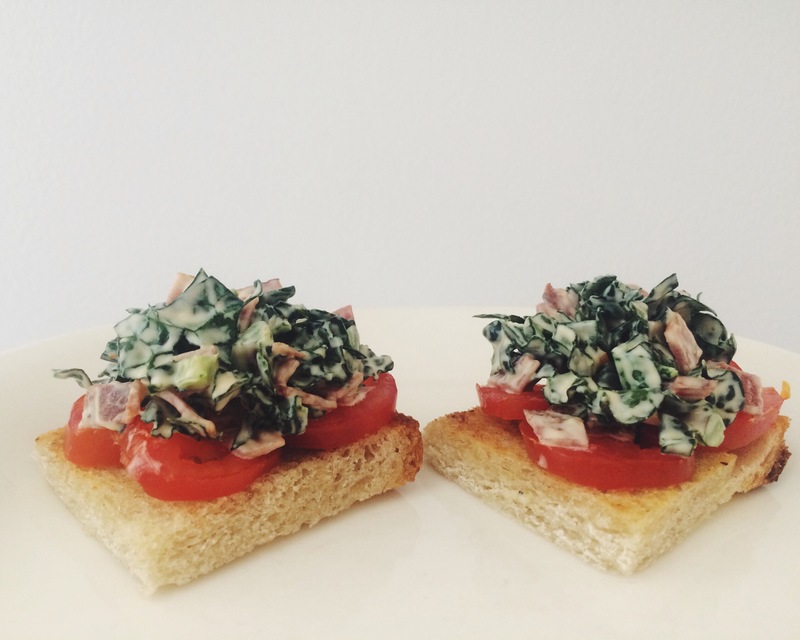 I hardly ever use Swiss chard but it worked really well on these! 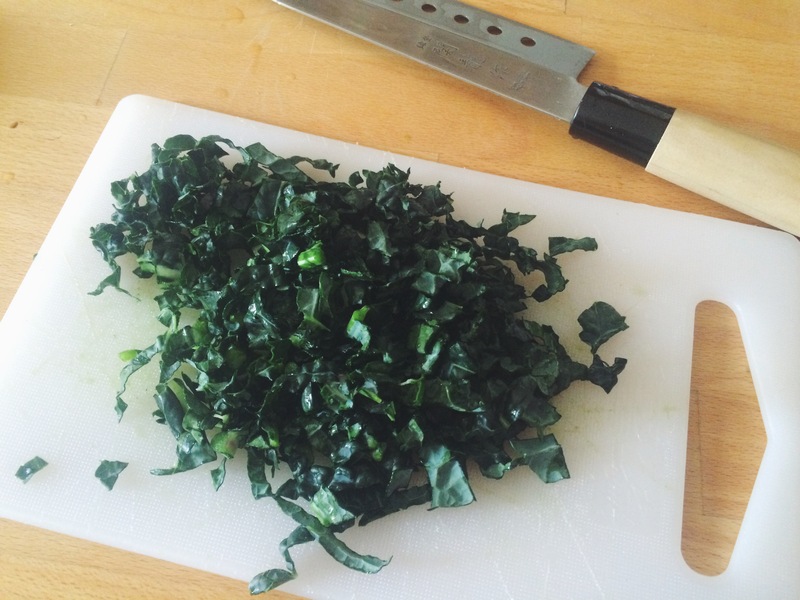 You can use kale or spinach too. Chop it all tiny. Chop the cooked turkey bacon into really small pieces, add your greens, ranch, and mix together. Butter your toasts and put them face down on a stovetop skillet for a few minutes until browned slightly. 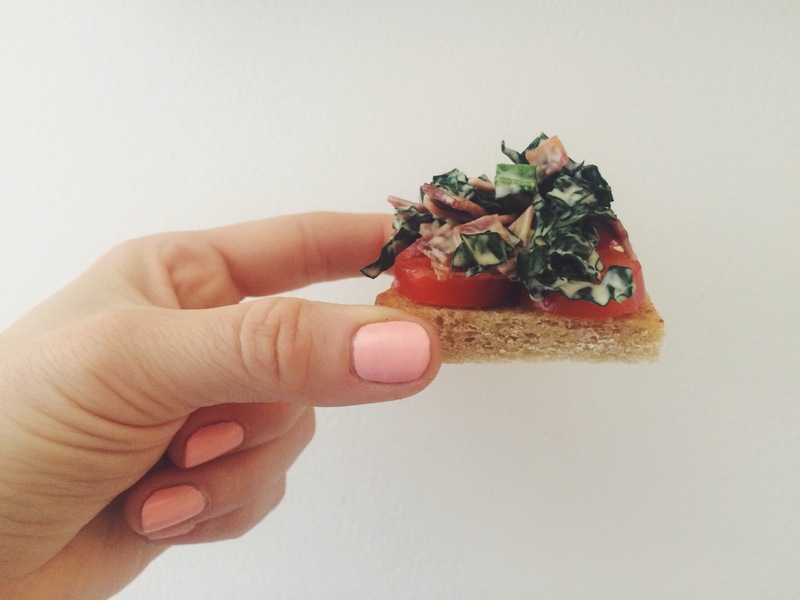 Place a layer of tomato on the toasts, followed by a spoonful of the bacon/chard mixture. That’s it!